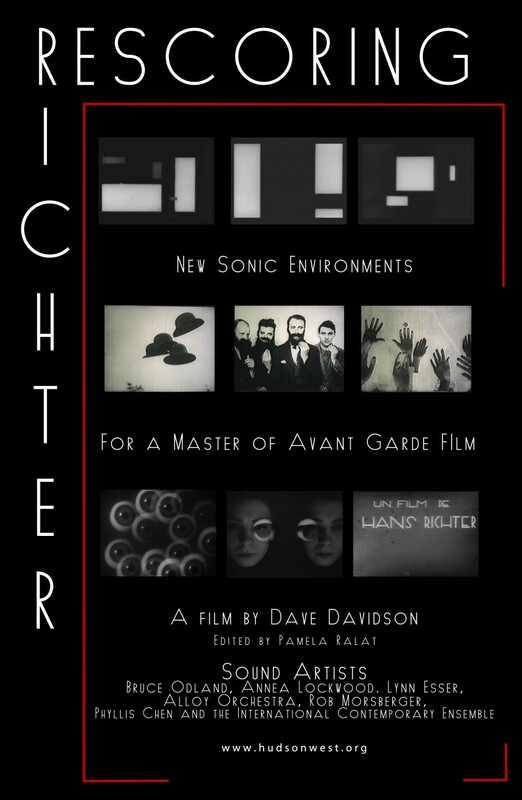 Rescoring Richter, the parallel project to the long-form documentary HANS RICHTER: Everything Turns-Everything Revolves, pairs contemporary composers and sound artists with Richter’s avant-garde films of the 1920s. Inspired by Richter’s Dada imagery and montage, they rescore nine of his films on instruments ranging from hubcaps found on the street to the Baschet Brothers’ sound sculptures at Yale University. These re-imagined Richter films are accompanied by short documentaries showing the process the artists followed to create their new scores. To date participants include Alloy Orchestra, Bruce Odland, Annea Lockwood, Rob Morsberger, Lin Esser, John Musto, Vince Giordano, and The International Contemporary Ensemble.